If you’ve come here hoping for the “definitive guide” on how to get your website or blog to the top of Google’s search results, then I’m afraid you may be a little disappointed because I don’t know. No one does, not really. Well, expect Google themselves that is, and the last thing they’re going to do is to release this information publicly as it would leave them wide open to manipulation from people putting up thin, crappy, unhelpful websites in order to make a quick buck and ruin the search results for the end user. Hold up, just before you go, you don’t think I’m going to just drop a bomb like that on you and leave to figure this stuff out on your own, do you? The real secret to first-page rankings. Which words or phrases would you like your site to show up for? Do you stand any chance of showing up for these terms? 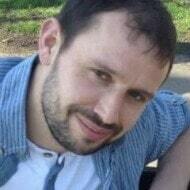 Creating helpful content based on your research. The dreaded Search Engine Optimization – A brief guide for newbies. Get to know Google intimately and find out what they really think about your site. How long will it take to get to the top of Google? My honest answer. Google’s primary goal above all else, is to return the most helpful and relevant websites to its users when they perform a search. That sentence is so important, you should probably read it again. If they fail at this and the user can’t find the information they’re looking for, they’ll go elsewhere to another search engine such as Bing who is now responsible by the way, for around a third of all searches performed online. If Google doesn’t have any users, no one’s going to pay for advertising. People paying for ads is how Google make their money so don’t concern yourself too much with trying to please Google, I certainly don’t. Instead, you only need to concentrate on one thing and one thing only, creating a relevant, helpful and pleasant site for your readers. This is exactly how Google run their own business, so doesn’t it make sense that they will reward website owners with higher rankings who focus on the same things that they do? But don’t take my word for it, here it is from the horses’ mouth (so to speak). Knowing this, you may want to forget just about everything you’ve read previous to this and let’s start again from the very beginning. Just to add, there are no shortcuts these days. If you want to get on the first page you have to earn it and quite rightly so. If anyone tells you differently, my advice is to run for the hills! 2. Which Terms or Phrases Would You Like To Show Up For In The Search Results? This section is a gentle introduction to keyword research. I could actually write a whole post on this subject alone. The most obvious term that new website owners want to show up for is their business name and that’s perfectly understandable. However, unless you’re a local business and quite well know in your area, how many people are actually going to be searching for you by name? I’m willing to bet not many. Instead, the idea is to show up for terms or phrases that someone may type into Google when searching for things related to your business (keywords). For the purpose of this article, you’re now in the business of selling photography equipment, cameras and accessories to be precise. Let’s call it errr… “Phils Photography”, Hey there Phil! Now, I have a family and want to start capturing those special moments with a camera but unfortunately, I don’t know the difference between a good quality camera and a mobile phone so I head over to Google for a spot of research. I’m not going to type in “Phils Photography” as I’ve never heard of you. Instead, I’ll be searching for information that will help me learn about cameras, and hopefully, lead me to purchase the camera that’s going to best meet the needs of our family. What should I look for when buying a camera? How much should I expect to pay for a digital camera? What is the best make of digital camera? I’d hope that searching for these types of phrases (keywords), Google’s going to return websites that are relevant to my query which will provide me with the information I’m looking for. In this example, I’m new to the world of digital photography so I definitely wouldn’t be searching for technical terms or using any kind of Jargon. If your business targets customers that already have some knowledge on the subject then that’s a different story. But when targeting entry-level customers, it’s a good idea to keep the language on a level they’ll understand or you may scare them away. A great way to come up with a whole list of these keyword phrases is to use your own knowledge of your business. Do you have customers asking you the same questions over and over? If so, great. Make a list of them. If people are asking you these questions back in the real world, you can be damn sure people are asking them online too. But don’t stop there, add anything else to your list that you think people will want to know, you can also ask your family and friends to chime in with ideas. 3. Do You Stand Any Chance of Getting Found On The First Page of Google For These Terms? There are a couple of schools of thought about which competition metrics you should use to help determine if there’s any room for your lil ‘ole website up there on that all-important first page of results. Some people use the quantity of competing websites as a guide, whereas others couldn’t give a sh…hoot about how many other sites are competing for a particular search phrase and focus on the strength of the competition instead. I’m going to keep things simple here and show you how to look for the latter in a very basic way. To sniff out the competition, I head back over to Google and type in one of the phrases from the list; “What to look for when buying a camera”. I want to see who’s already occupying the first page in a bid to see if I can sneak in there somewhere. 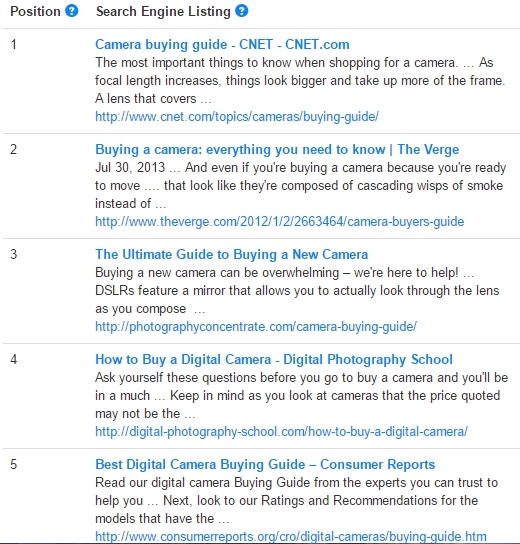 As you already know, I don’t know anything about cameras, but I do recognize some of these large, well-known websites who are taking up most of the page. Sites like Cnet, The Verge, Consumer Reports and the remaining 5 results that you can’t see include, Wikihow, PC Mag and TechRadar. That’s not a great start. 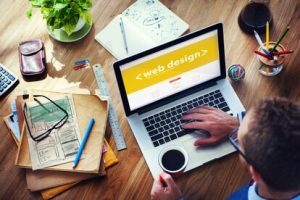 If you’re just starting out, these authority type websites can be very difficult to beat but over time, as your website grows with helpful content, it’s entirely possible to outrank these websites if you can do a better job than they are. In this situation, I’d advise you to move on and start the process again with a similar search term that has a weaker page of results. When you find forums, question and answer sites, or smaller blogs like yours then you may have a winning keyword on your hands. Are the websites on the first page targeting the search term exactly? Does the article provide a thorough answer to what the visitor is looking for? If you can answer no to these questions and think you can do a better job of what’s already there, stuff the competition and go for it, that’s exactly what I do. When you have a keyword, the next step is to transform it into a piece of helpful content that’s going to give your visitors the help and advice they’re searching for and can’t find elsewhere. Let’s think about it logically. If Google’s going to go to the trouble of replacing an existing site currently residing on the first page with yours, then it makes sense that your content should be more relevant, thorough, helpful and different in some way to what’s already there. Write naturally as if you were talking to a friend and don’t be afraid to inject a little personality into your writing. I do all the time and it will help set you apart from all of the other boring, humdrum, essay style content out there and allow you to connect with your readers. It allows your visitors to quickly skip to a particular section of the article. It breaks up the text making it easier to read. The easier you make it for people to consume your content, the longer they’ll stick around. This is a factor that Google takes into account when deciding where to position your site. Section 1: Brief description of the different types available. Section 2: Size and weight of the cameras. Section 3: Lenses and pixels. Call to action which could be a link to your recommended product. How long should the article be? It really does depend on the subject you’re writing about. I usually find myself writing around 2,000 words per post for this site, and word on the street is that Google loves this type of detailed, all-encompassing article. I usually find that this number gives me enough room to fully cover what it is I’m writing about. I never set out to target a specific number of words. If you can cover the subject in detail in 800 words then that’s fine, there’s no point in padding out the content for the sake of it. Going back to our example, could I write a 2,000-word post on things to look for when buying a new camera? I this situation, I’d head over to Google and take a look at the average length of the articles currently ranking there. If they were all averaging 1,200 words, that tells me that’s roughly what it’ll take to cover the subject and your post should be around the same if you’ve any chance of beating those sites. Spend more than three minutes reading about getting ranked in Google, and I guarantee that you’ll bump into the term Search Engine Optimization or SEO for short. This is a term that usually scares the heck out of most noobs or, at least, it did me the first time I ran into it. There really isn’t any need to be intimidated. In a nutshell, it’s the process of telling the search engines what your website or a specific piece of content is about and making sure we give our visitors a good user experience. Think about it this way, if Google can’t grasp what your article is about, how are they ever going to be able to put you on the first page for the keywords you were hoping for? The answer is they can’t so we just need to give them a little helping hand to better understand our content. Use your chosen keyword in the title of your post. Use the phrase again naturally if you can somewhere within the introduction. Create a relevant URL for the post or page. Use relevant imagery and title them accordingly. And the introduction; “With so many people choosing to use their smartphones these days, you’d be forgiven for lacking knowledge on the subject of real cameras. What’s the best make and how many pixels do I need? Fear not, that’s why we’ve put together this simple guide that will show you what to look for when buying a new camera“. My page ULR (web address) could be; mywebsite.com/camera-buying-guide. That was off the top of my head but I’m sure you get the idea. From there, write your content like your life depends on it. Okay, that may be a little dramatic. Your life doesn’t depend on it, although the success of your website will. Forget about Google and focus on your readers instead. 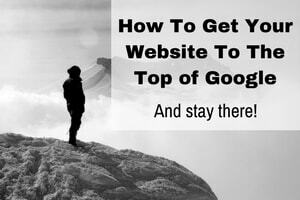 If your visitors like your site, then Google’s going to love it. When you upload an image to your computer, it’ll usually automatically named something like cms-265133_1280. It’s good practice to rename your images before uploading them to your site. Name it something relevant and related to what your post is talking about. You should also add an “alt-tag”, this is a short description for your visually impaired visitors. Don’t just re-use your keyword here, instead, describe exactly what is going on in the image. Optimizing your images in this way can help with your rankings. In this day and age, no one’s going to wait around for 5 seconds for a website to load, they’ll be off to your competitors’ site never to be seen again. As well as your visitors, Google also takes site speed seriously and you may find positions in the search results begin to drop if it takes too long to load. A second or two is fine, anything more and you really need to address the issue. Common causes for a slow website can be large, high-quality images, videos hosted on the site, poor/cheap web hosting. In my honest opinion, when it comes to SEO, this is all you really need to worry about, especially in the beginning. This and creating great content to help your visitors. If you can combine these things you’ll be building your business website on a solid foundation. If you haven’t already, then it’s about time you got intimate with the “Big G”. 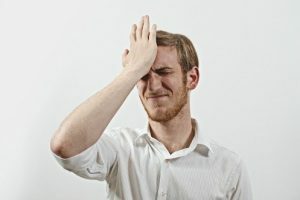 Don’t worry, you won’t have to do anything you’re not comfortable with, but you should definitely hook your website up to the Google search console formerly known as Webmaster Tools. Once you’ve set up your free account, you’ll be able to access your sites stats, find out how people are finding your site and more importantly, if you have any errors. If Google tells you there’s some kind of issue with your website, it’s a good idea to fix it and sooner rather than later. The next thing to do is to submit a sitemap. This is a crucial step yet something that’s often overlooked by many webmasters. When a person visits your site, they find their way around by using your site’s navigation bar. Google can’t understand this so when they come knocking, they’ll use your sitemap instead. Think of it as a complete list of posts and pages that help the search engines crawl every nook and cranny of your site. If you want to be rewarded with good rankings in search, doesn’t it make sense that we make the process as painless as possible for them? Okay, so this probably isn’t going to be exactly what you want to hear, but the whole point of this blog is to show you how to build an online presence for your business online and be upfront and honest about what it’s going to take to achieve it. Google’s becoming much stricter these days about who it rewards with those lucrative top positions in the search results. Before they’ll even consider you, they want to be sure you have the staying power and that you can produce the goods. It could take anything from 1-6 months before you start seeing good rankings but this does depend on your business niche. In a less competitive market, you’ll find that you start climbing the ranks a lot quicker than someone like me who’s battling in the website building niche where it’s possible it could take 12 months plus to start seeing significant results. If you remember, we started off this post with some bad news and so I’d like to leave you on a slightly more positive note. Although it may take a while before you see any results when Google finally lets you off the leash and begins to assign some authority to your website, you’ll notice that your newer posts get ranked quicker and higher, and your older posts will move up the ranks too. All of the hard work will start to pay off as more people will be able to find you in the search engines. More visitors equals more potential customers, more customers means more sales and you’ll grow your business as a result of all your hard work. That’s the whole point of building a website in the first place right? If you thought that was a long read then you should try writing it! I hope you’ve been able to gain an insight into what it’s going to take to achieve great Google rankings today, and going forward. I’d love to hear your questions, views, and experiences when it comes to ranking in Google so please feel free to fire away I the comments section below. previous post: Can Blogging Really Help Your Business or is it a Myth? next post: Create Your Own Personal Trainer Website – Without Hiring a Pro!